Report ties Chinese president trip to Tanzania to illegal ivory trade. 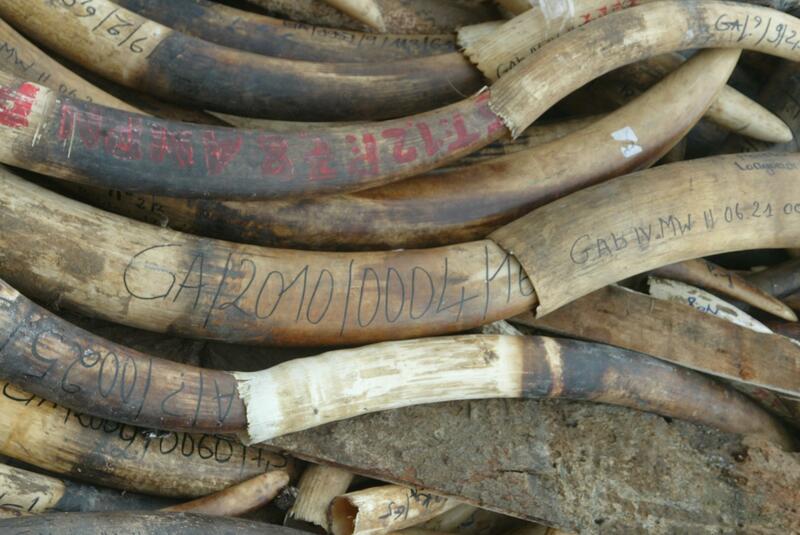 Ivory recovered from smugglers in Gabon. China has long been accused of fueling the illegal ivory trade in Africa. A new report out this week from London-based NGO Environmental Investigation Agency says the illicit trade implicates even the highest levels of the Chinese government. The organization’s report focuses on Tanzania, the epicenter of the illicit ivory trade, where the elephant population has been decimated with some 10,000 elephants killed for their tusks last year alone. At a time when the Chinese government is trying to prove itself a responsible state actor that is serious about rooting out corruption and abiding by international law, the organization’s report describes a devastating environmental cost of China’s geopolitical rise: Chinese diplomats and military personnel, it says, are colluding with corrupt Tanzanian officials and Chinese-led crime syndicates that send huge amounts of illegal ivory to China, reducing Tanzania’s elephant population by half.